Bold words I know but to say I am loving this eyeshadow would be an understatement! Gri Gri is limited edition from the Fall 2013 range, it has already launched in the US and will be launching very soon in the UK. The packaging is traditional Chanel-black, glossy and classic with the intertwined C's on the casing. The colour is quite hard to describe-it's almost a lavender taupe, leans slightly mauve with teeny tiny particles of glitter. And I mean teeny teeny tiny but in the light-wowzers, I can literally almost pick up every colour of the rainbow in the swatches on my hand. I'm so upset the swatches do not do this beautiful shadow justice and I highly recommend you whizz down to your nearest Chanel counter and swatch this for yourself and look at it in natural light. It's a similar texture to apply as shades like Mac Woodwinked-a fairly dense, velvet-y texture with a shimmer finish and can be easily built up. The swatches really don't do justice to how stunning this shade is! There are some great swatches of the whole range that is launching here on the Beauty Look Book. 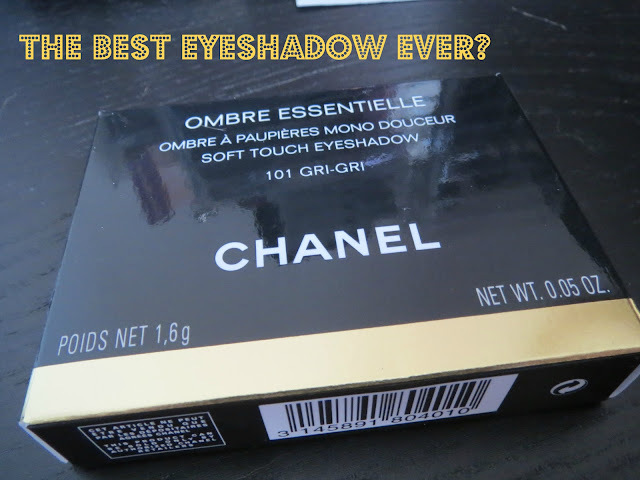 I've also bought the Chanel Mystere Quad which I will also review shortly. Is anything from the Fall range from Chanel tempting you? As this is limited edition I am pretty much thinking of buying a second one I love it that much!